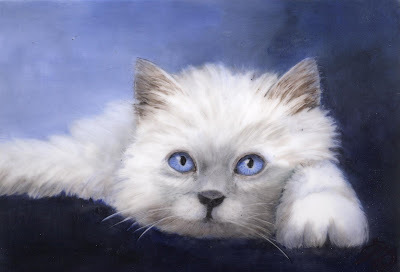 This blue-eyed kitty is painted on a 5x7 tile. It is for sale at Pepper West Gals Gallery in Lorena Tx. Go visit but don't get scratched!